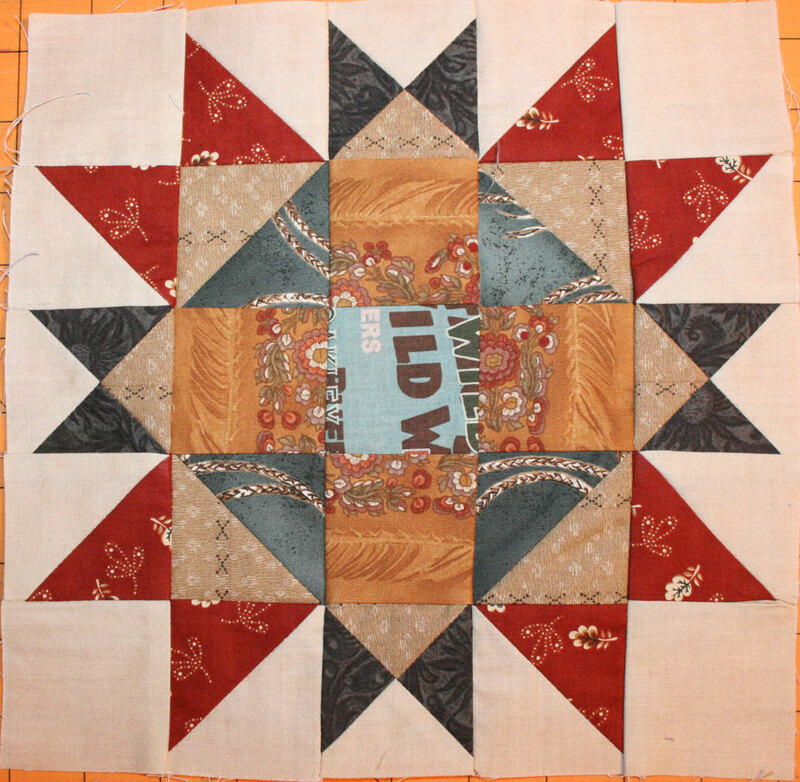 The Block of the Month quilt from my last post is our BOM club at the shop this year, and what is really cool is that there are three different quilts you can make with the same twelve blocks, so now I am working on "Abigail's sampler Quilt". This is block 1. And here is block 2. 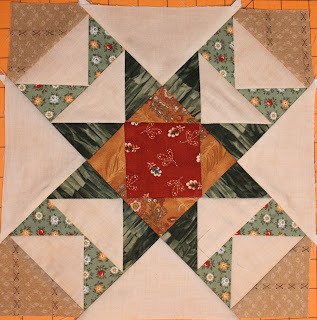 I am a bit behind the others in our group, since I was racing to get the first quilt finished for the Quilt meet.... We are meeting on Tuesday to do block 4, so I have cut the pieces for block 3 now, and will sew it together tonight. 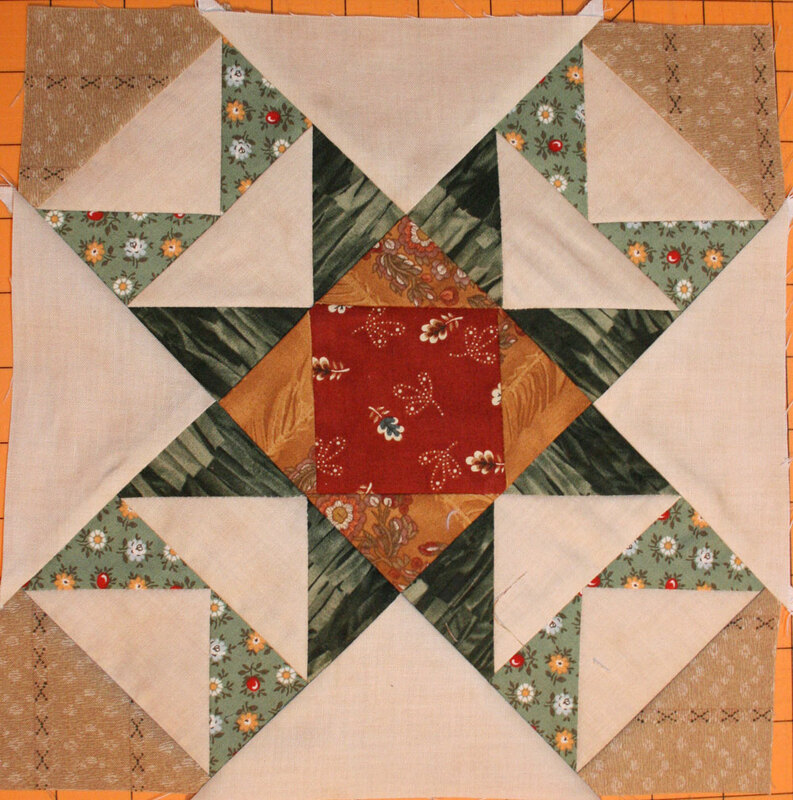 I am using fabrics from a fat quarter bundle I bought at Sample Spree in Houston 3 years ago for this quilt ( About time, don't you think?) The line is called " the Buffalo Bill Collection" and is from Windham fabrics. 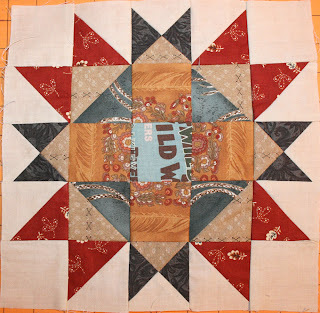 While I am working on these blocks this jelly roll is begging to get used..... 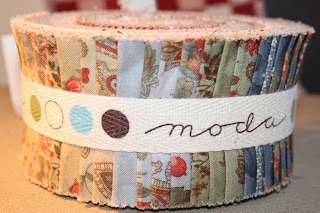 I admit I hoard jelly rolls, and now I REALLY need to use some of them. I have a plan for this ( I think....) The line is Portobello Market by 3 sisters. Tomorrow I am going to the boy's ski race, hope the sun is out :-) Have a wonderful Sunday everyone!